Comics superfan Jen Aprahamian does the comics world proud before the might of Alex Trebek. So here I was, blogging away when my wife called me into the living room to see something on “Jeopardy!” Alex Trebek was doing the interview shtick and he got to a woman who said she read100 comic books a month — and even invoked Nightwing. “I must track her down!” I cried, fist raised to the ceiling. And so I did. Jen’s the second person I know who’s been on the show. My mother’s the first! 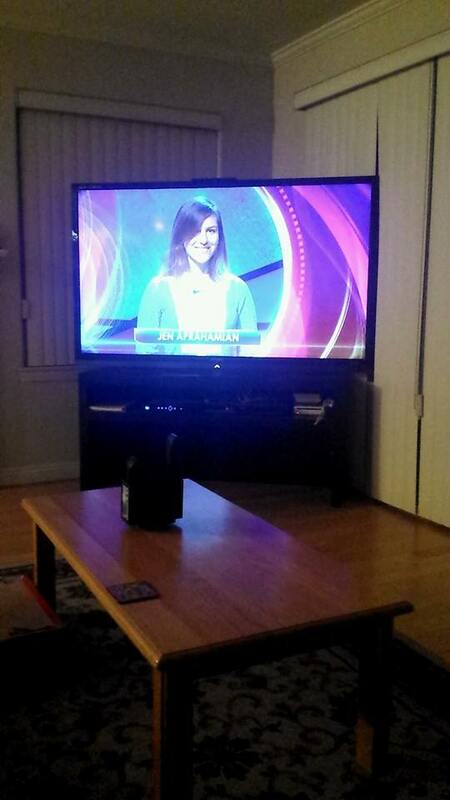 Dan: I always believed that comics readers are smarter than the average bear but tell us how you ended up on Jeopardy! Jen: There’s just one way to get on the show* — take the test! There’s a round of online testing every January, and after that, potential contestants follow up with local tests and auditions. I got lucky and made the cut after each testing round, and about eight months later, I got the call. What is it you do for a living? What’s your background? I teach web development and related computer science topics at a fantastic place called General Assemb.ly. My background is super eclectic, but for most of my career, I’ve been making software of some sort. I’m also working on a creator-owned comic. Now, I’m aware that as part of the screening process, they ask for interesting info that makes for good conversation on the show. When you cited comics, was it kind of an offhand thing or were you intentionally flying the flag for comicdom? 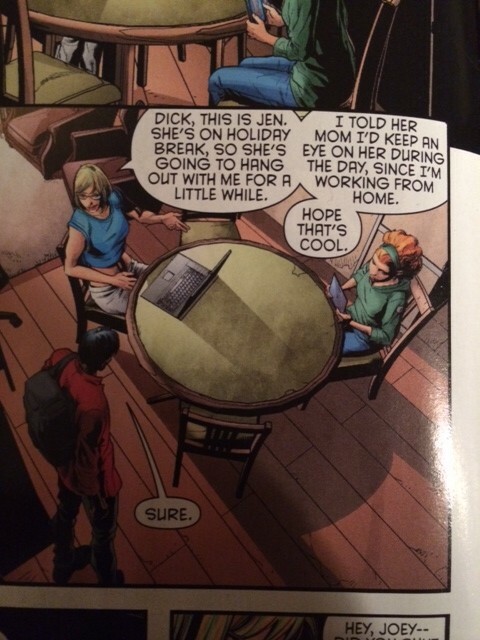 I absolutely wanted comics to get a mention! I wrote up 40-plus possible “fun facts” and I think about 1/3 of them had to do with comics (write what you know, right?). The show’s producers whittle that list down to a few possibilities, and everything comes together in the green room before the taping. Tell us what it was like to actually experience the show itself. How fast did it go by in your mind? It’s surprising how easy it can be to access random facts on-the-spot when you need to; I think that was the most surreal part of the experience. BBC “Sherlock” fans are familiar with the idea of a “mind palace” — I dove headfirst into mine to grab bits of trivia that I almost certainly wouldn’t recall under ordinary circumstances. That true Daily Double? I think I read an article about that book a few years ago, and the title came back just because I needed to not embarrass myself on a true Daily Double! Less easy: managing the buzzer. I cringed a lot when I watched the episode, because there were so many times that I totally blew it by buzzing before the clue was finished. If you’ve ever wondered why contestants seem to hammer at the buzzer like they’re trying to break it, it’s 100% a timing thing. Overall, it’s a thrilling experience, being surrounded by so many smart, funny people (who also geek out over random trivia! ), and I had some unforgettably cool conversations that day. 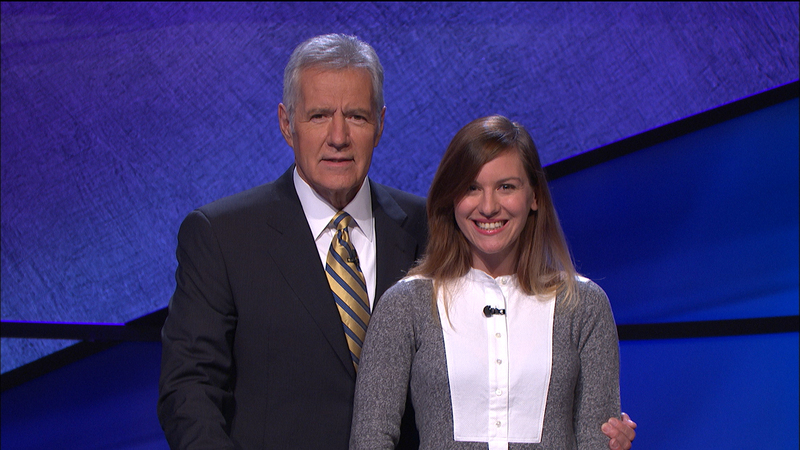 I also got to hug Alex Trebek, and that was pretty rad. I’d go back on the show in a heartbeat if they allowed it, and I think everyone who loves trivia should take the contestant test. 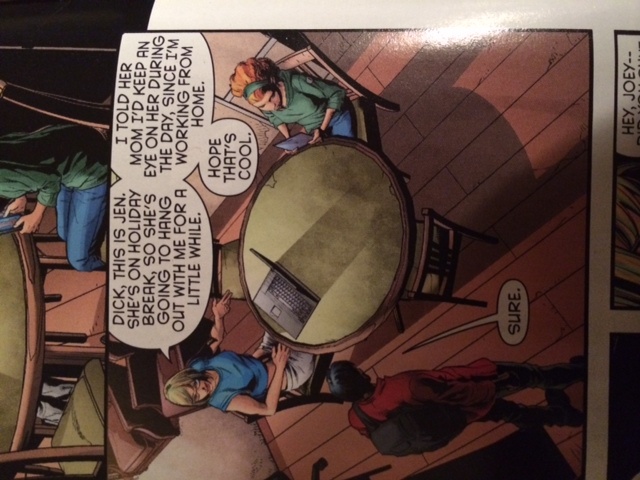 A knowledgable comics fan would immediately know that you were referring to Kyle Higgins when you mentioned your boyfriend wrote Nightwing. Did you know he was going to, in essence, write you into the book? Nice catch! I was ad-libbing like mad when that question came up; I thought Alex was only going to ask about my collection (Holy curveball, Batman!). At the time the episode taped, Nightwing #26 hadn’t gone to the printer yet, but you can’t tell Alex Trebek that you’re not canon, so I just went with it and crossed my fingers! Jen’s namesake on the right! Art by Will Conrad and Cliff Richards. How do you find the time to read so many comics in a month? Didn’t you say it was 100? Yep! I average 25+ books/week (less when it’s a 5-week month and there’s that weird Wednesday with only 9 new books or so). I read as many as I can on Wednesdays, and finish out the rest of the week’s pulls when I have my coffee every morning. It was much easier when I lived in Chicago and took the train to work — commutes are made for comics! So what’s the smartest comic book on the market right now? 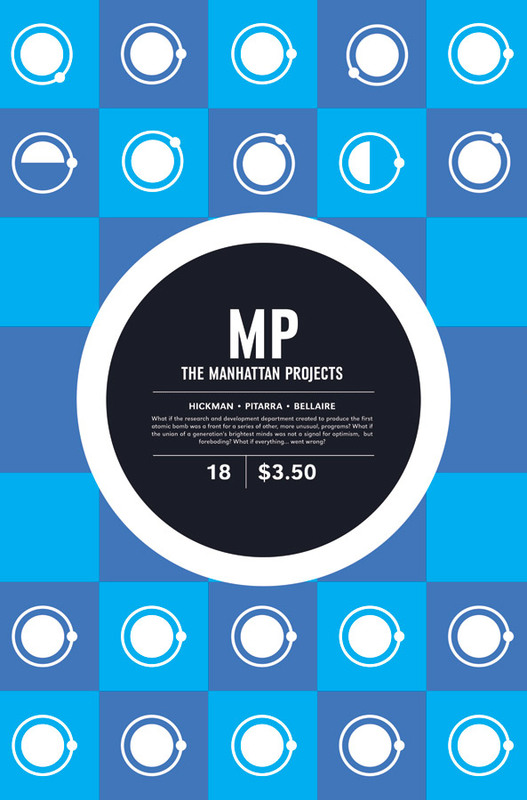 I’m pretty sure that the collective IQ of the cast of The Manhattan Projects makes that book the top choice for “smartest” right now (it’s also my favorite), but I’m loving the recent uptick in science-rooted or otherwise deeply intellectual books. There’s also just so much exquisite storytelling out there; my short list of books that are super-engaging and smart in their execution includes Trillium, Lazarus, The Wake, East of West, Pretty Deadly and Saga. The smartest comic available. And Jen would know! Leave a comment below! Just make sure it’s a really, really smart one!